He was awarded a Robert Louis Stevenson fellowship in 2012 and a residency at The Studios of Key West in 2016. His poems have appeared in New Writing Scotland, The Prairie Schooner, The American Poetry Review, AGNI, Carcanet’s 2010 Oxford Anthology of New Poets and Best Scottish Poems 2015. He was awarded a Robert Louis Stevenson fellowship in 2012 and a residency at The Studios of Key West in 2016. 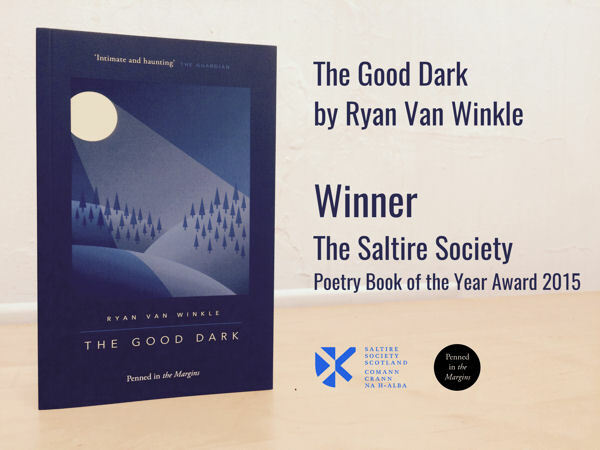 Van Winkle has also been Poet in Residence at Edinburgh City Libraries following a successful run as the Scottish Poetry Library’s first-ever Reader in Residence. As a member of Highlight Arts he has organized festivals, theatre projects and translation workshops in Syria, Pakistan and Iraq. 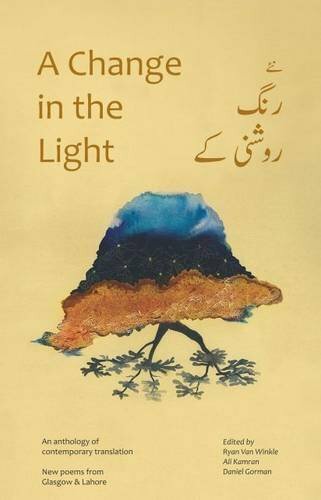 He has also edited three anthologies: “A Change in the Light: New Poems from Glasgow & Lahore”, “This Room is Waiting: Poems from Iraq & Scotland” and “I Chose to Listen: New Translations from Syria, Lebanon & Scotland” which is available as a free e-book. He has been the founder, host and co-producer of arts podcasts including: The Line Break from the Poetry School, The Multi-Coloured Culture Laser the poetry podcast for the Scottish Poetry Library and Book Talk for the Scottish Book Trust. He has interviewed hundreds of poets, authors, and artists. Some favourites you might enjoy are, Mary Ruefle on the SPL podcast, George Saunders on the SBT podcast and Withered Hand on Culture Laser. Some transcripts of these interviews have been commissioned by the Prairie Schooner literary magazine. In 2016 Van Winkle returned to Lahore with Highlight Arts for a series of writing workshops as well as performances at the Lahore Literary Festival. He also began production on a new play focusing on the death penalty in Pakistan with Complicite Creative Learning and Ajoka Theatre commissioned by Justice Project Pakistan. With Highlight Arts and the Edinburgh International Book Festival he brought Pakistani and Scottish artists together for performances in Edinburgh, Lewis & Harris. He founded a new collective of Edinburgh-based artists & musicians known as Far Yella. Ryan created & hosted a ‘Poetry Bingo’. He also founded Simmer – a night of poetry & flavour with the Edinburgh Food Studio which was covered on BBC Scotland & in Fine Dining Lovers. With the musician Hailey Beavis they created two extravagant ‘Literary Happenings’ called ‘WHITE‘ & ‘BoneDigger‘ under The Golden Hour presents umbrella. He was invited to read at the Pompidou Centre as well as at Shakespeare & Company. Other appearances include readings at the O, Miami poetry festival, the Festival de Poésie in Montréal, the Poetry Days festival in Latvia and the Nilüfer Poetry Festival, in Turkey. He gave lectures on his body of work at the Scottish Writers’ Centre and at the American University of Paris. His one-to-one poetry performance, ‘Red, Like Our Room Used to Feel’, was remounted as part of Forest Fringe’s 10th Anniversary celebrations. The Queensland Poetry Festival commissioned ‘Lenses Shiver‘ a short film / interview about Clive James’ life in poetry which premiered at the Queensland Poetry Festival. Van Winkle’s poetic collaboration with Dan Gorman about String Theory was featured at ‘Elemental‘ at the Glasgow Science Centre’s planetarium and Van Winkle was a guest editor for Scottish PEN’s literary magazine ‘Penning‘. In 2015 Van Winkle led a cohort of Scottish poets to the Melbourne Writers Festival & Queensland Poetry Festival for a number of events and discussions. He also toured his poetic slide-show for an audience of one, ViewMaster, to the Poetry International Festival in Rotterdam as well as festivals in Norwary, Northern Ireland and around Scotland. He joined the 3rd International Congress of Language and Literature in Linares, Mexico and read for the first time in Mexico City. For Highlight Arts, Van Winkle managed the ‘City to City’ project bringing musicians and poets from Glasgow & Lahore together for a UK tour as part of Celtic Connections and the Alchemy Festival. He also answered a wide range of questions about his work on his extensive ‘Virtual Book Tour‘ and released a new track with long-time collaborator, Ragland. In 2014 Van Winkle toured Scotland as part of the Auld Enemies poetry project, was part of the Poetry International Festival in London and the ‘Made in Scotland‘ programme at the Edinburgh Fringe Festival with ViewMaster — a poetry-experience created with Dan Gorman. ViewMaster was called ‘magical’ & ‘lo-fi’ by the Guardian. He also created a poetry map of Northampton with Jonathan Prior & Katherine Leyton, released the ViewMaster chapbook and album with Stewed Rhubarb & Invisible Agent and brought ‘Red, Like Our Room Used to Feel’ to the Woodford Folk Festival in Australia. He also organised a series of translation workshops in Iraq as part of the Niniti Literature Festival in Erbil and in Lahore, Pakistan with Highlight Arts and the British Council. He also was commissioned to write a poem for the science-poetry show, Elemental, which toured planetariums in Australia and the UK. TIDES CONNECT EVERYWHERE from REBECCA SALVADORI on Vimeo. He was noted as one of Canongate’s ‘Future Forty’ in 2013. His poetry / theatre experiment ‘Red, Like Our Room Used to Feel‘ was one of the top ten best-rated shows at the Edinburgh Fringe Festival in 2012 and has been performed at the Battersea Arts Centre and in the Room for London at the London Literature Festival. 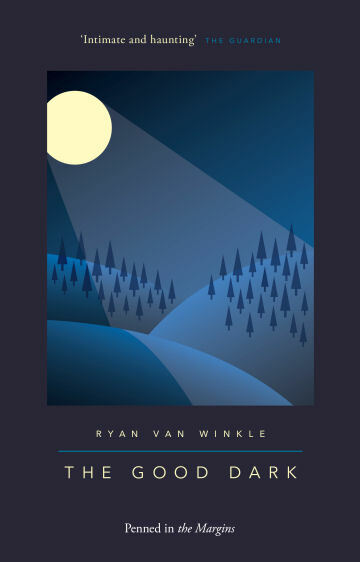 Van Winkle has been invited to read internationally including at The Wordstorm Festival in Darwin, The Edinburgh International Book Festival, The London Literature Festival, Shakespeare & Co. in Paris and the Poesie Festival in Berlin. As Literature Coordinator for Highlight Arts he has performed and hosted events at the Erbil Literature Festival in Iraq, and the Lahore Literary Festival in Pakistan. He’s been involved with brining Pakistani, Syrian and Iraqi poets together with UK contemporaries for translation workshops and performances throughout the UK and abroad. He has also chaired events at the Edinburgh Art Festival and Edinburgh International Book Festival where recently he had the opportunity to converse with literary legend – Alasdair Gray. Ryan also tutors for The Poetry School. He is available for one-to-one workshops and is happy for you to contact him about this. He has also worked with Screen Bandita for a commission at the Battersea Arts Centre and regularly collaborates with poets for his ‘Commiserate‘ series. Ryan remains a member of The Forest and Edinburgh-based arts collective where he first met many of the artists & organizers he works with today. The Forest is home to many doers and gave birth to The Golden Hour — a sprawling monthly literary cabaret and publishing endeavour which existed between September 2006 – December 2012. In over 6 years The Golden Hour toured the UK & Europe, released more than two dozen chapbooks, an illustrated encyclopedia and two anthologies of new writing & music. They remain the best of times. Lastly, Ryan was born in Connecticut and says ‘Tomato’ like an American.